1. 13 days until race day. whoa. 2. We made these delicious sweet potatoes this weekend. Try them! 3. 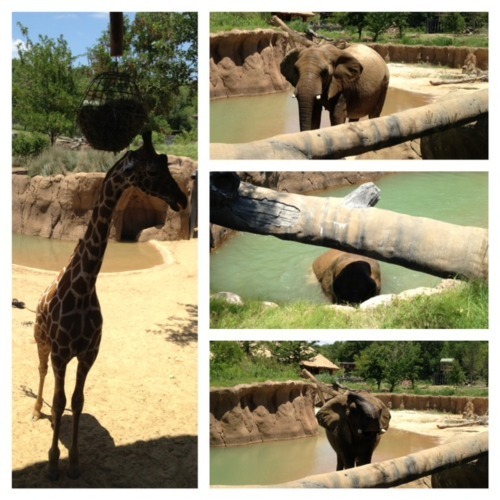 Oh how I love the zoo! The Dallas Zoo tops them all. So glad I get to volunteer there for a year! 4. I was so lucky to be back on SMU’s campus on Friday to give my sweet friend Natalie’s 5th grade class a tour! Most exciting points on campus: soccer field, rock climbing wall and Dallas hall (which they thought looked like The Capital…). It was so fun to hear them all proclaim that they couldn’t wait to come to SMU. 5. I’m already contemplating the next triathlon on my calendar. Issues. 6. I’m in serious purge mode. Selling and throwing away lots of items because I’m sick of the clutter. Man, it feels good! I’m having a love affair with eBay all over again. 7. Fingers crossed that we can plan a trip to Nantucket/Chicago this summer to visit my sister and family. We’re READY for the beach. 8. So glad the average Facebook employee is now a millionaire…excluding Zuckerberg. And guess what I saw in my Inbox two weeks ago…an email from Facebook letting me know that they would not be bringing me in to interview for the job I applied for. Bummer. 10. I made that single-serve cookie dough again this weekend in a moment of weakness. I added cream cheese this time in place of some of the flour. I’m craving it something fierce right now.